Mon - Fri 9:00am - 5pm EST and during shows when Box Office is open. 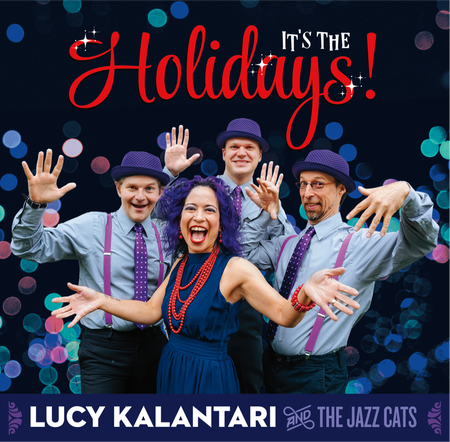 Lucy Kalantari & The Jazz Cats present 'It's the Holidays’ a seasonal concert featuring music from their holiday EP with original songs commemorating Halloween, Thanksgiving, Hanukkah, Christmas, Kwanzaa and New Year’s celebrating community, unity and togetherness. Kalantari is an award winning children’s artist based in Brooklyn, New York, making jazz age inspired music for families. Starting Fall 2017 Lucy Kalantari & the Jazz Cats will be featured on Sprout House, the musically-infused programming block on Universal Kids. Her songs are on steady rotation on SiriusXM Kids Place Live and other family radio programs around the country. Her debut into the kids independent music scene came with her album Pockets Full of Joy in 2014. ‘Pockets’ landed a Parents’ Choice Silver Honor Award and earned a place in The Best Kids Music of 2014, by Cooper & Kid. Her hit song "Fantastic" off her album Big Things won the International Music Award for Best Children's Song and reached #3 on Kids Place Live 13 Under 13 charts. She was also awarded in the International Songwriting Contest for Best Children's Song with “Balloon" also from Big Things. Lucy Kalantari has performed in festivals and libraries around the country.